When the Beatles broke up, nobody expected much out of Ringo. What was the poor sap gonna do without his buddies around to carry him? Anyway, Ringo was always going to run a hair salon after the Beatles, wasn't he? But by the time Ringo was released in 1973, he had already scored with the classic It Don't Come Easy and now had just put out the sublime Photograph and the somewhat ridiculous You're Sixteen, rivaling all the ex-Fabs in the hit sweepstakes. This was not to last, as Paul dropped Band on the Run a month later and resumed his hit machine status, and Ringo took drinking lessons from his buddy Keith Moon. But through it all Ringo remained what he always was, a drummer with a singular sound, a lovable character, and a guy who never had the desire for the spotlight that chugging out albums full of material year after year required. He would have been better served popping up every once in a while with a single that suited his personality. So it's no surprise that a retrospective of Ringo's best songs is actually pretty damn good, because he's a charming, though limited, singer that has always had extraordinary talented friends around to support him. Of all of these, perhaps no one served Ringo better than George Harrison. Along with co-writing several of his best songs, he laid down some wonderful guitar work on his records from beginning (It Don't Come Easy), middle (Wrack My Brain), to end (King of Broken Hearts). George's death affected him deeply, if the loving tribute Never Without You is any indication, and probably stems from their shared "second tier" status in the band which Ringo never seemed to mind and George came to resent. George is also fondly referred to in the charming solo-Beatle roundup, Early 1970, as Ringo sings "I know he's gonna play with me". Perhaps what's most surprising about this collection is the strength of his 90s comeback songs. Having settled into his role and comfortable being out of the hits race, he formed a new studio band with regular collaborators who obviously cared about his legacy. Songs like Weight of the World and Fading in Fading out find him reproducing a mid-sixties vibe with nostalgia but also enthusiasm, which coming from a charmer like Ringo is nearly irresistible. This new package, far from being merely product filler, was actually necessary to sum up a career last spotlighted on 1976's Blast From Your Past. 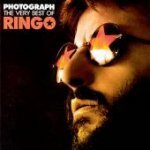 Not only does it pick up some early gems that album missed, but it adds worthwhile tracks from a refreshed Ringo, back doing what he does best.